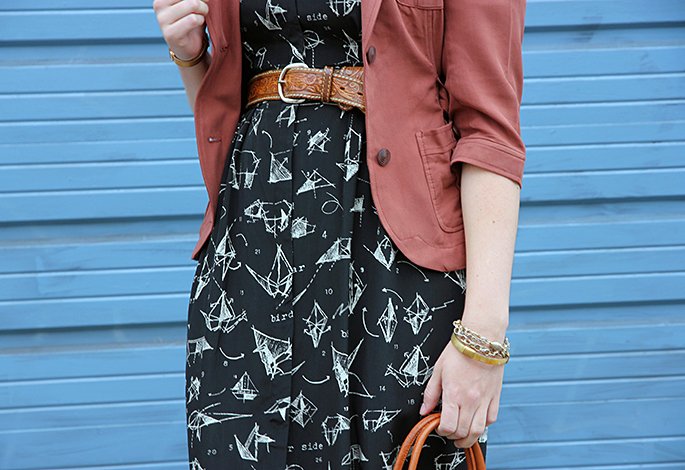 Dress, Blazer and Necklace: Anthropologie. Shoes: Schuler and Sons. Belt: Vintage. 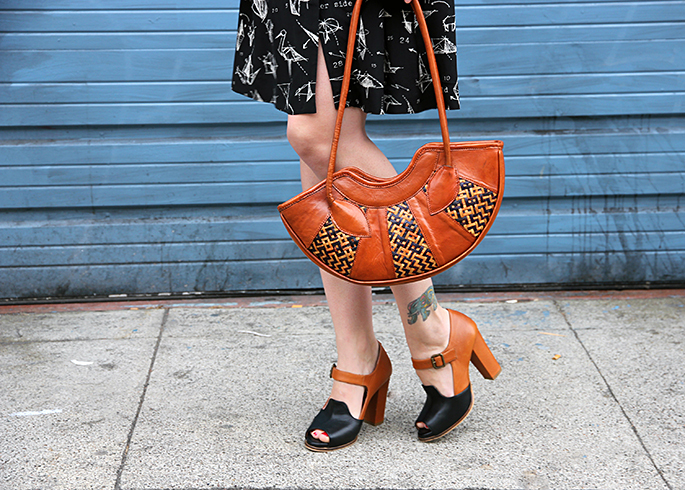 Bag: Handmade in Bali. Bracelets: Kora (c/o), Vintage. 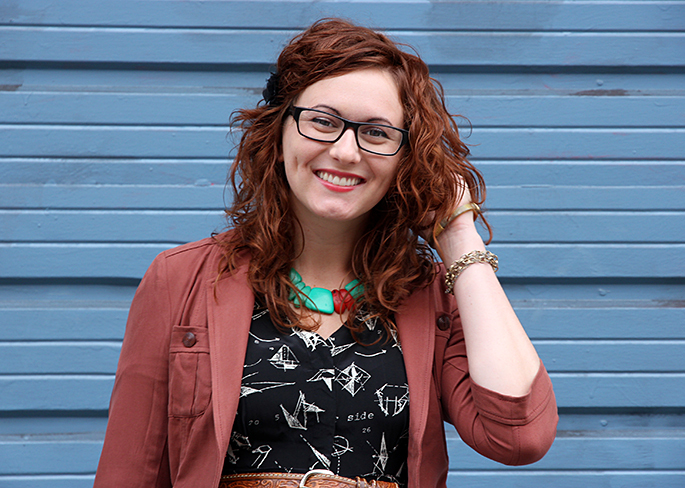 It’s finally Friday… which means its time for a style challenge (and a large glass of wine). This week’s theme was two toned shoes! I just snagged this pair on sale and I already have a million fall outfits in mind for them. They’re sort of a weird hybrid of shoe styles, but they are pretty comfortable and easy to work into an outfit. Head on over to Meghan and Adiel’s blogs to see their fancy footwork for this week’s style challenge. If you want to join in just tweet your look to me and add #stylechallenge! Love the prints on your dress. Your two-toned shoes are so sweet. Love those shoes! Such a cute accessories pairing you have going here. Xo!